Come on down to Rockin' Z Ranch! Rockin' Z Ranch Log Cabins and horseback riding. 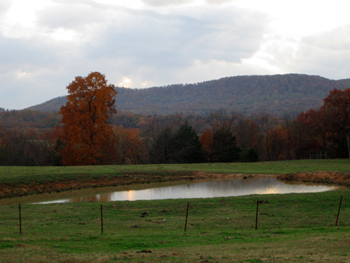 Enjoy all the Ozarks and Northwest Arkansas has to offer! The Ozarks Natural Vacation Getaway. Nestled in the heart of Northwest Arkansas's Ozark Mountains you will find Rockin' Z Guest Ranch - a one of a kind place with five beautiful 1,000 square foot log cabins and a three bedroom guest house. Located on 700 acres of privately owned wooded hills where you can go horseback riding, fish in our ponds, explore our cave and winding mountain trails, or just enjoy the peaceful landscape and sylvan wildlife. Beautiful scenic mountain horseback rides! 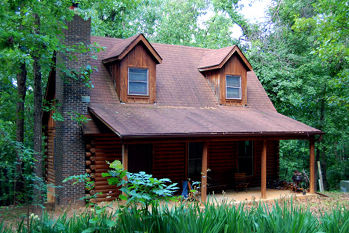 Our log cabins are clean, private, and secluded - yet close enough to accommodate groups for reunions or retreats. Take your group on a hayride or horseback ride, toast marshmallows over a camp fire, meet in the barn, or have a barbecue at the guest house - our ranch is a great place to gather and enjoy the beauty of the Ozarks. 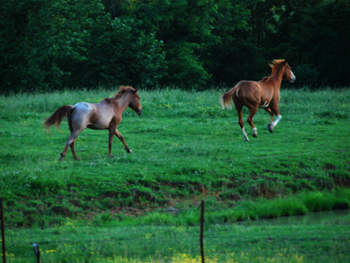 We are the only operation in Northwest Arkansas with ranch-raised horses for our guest's riding pleasure. These horses are bred for corralling cattle, and therefore they are calmer and more obedient than your average horse. This makes for an more enjoyable experience for you. Centrally located in less than an hours drive from Branson, MO, Eureka Springs, AR, or the Buffalo River - our cozy log cabins and guest house will provide you with comfortable lodging during your stay. 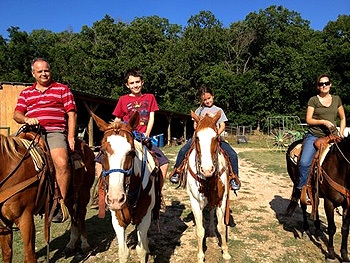 A family having fun at Rockin' Z Ranch. Getting away from it all is much closer than you think! © 2019 Rockin' Z Ranch. All Rights Reserved.